Will be using along with the boy in my Thanksgiving display. Would like them in wood and more adult but this will have to do. 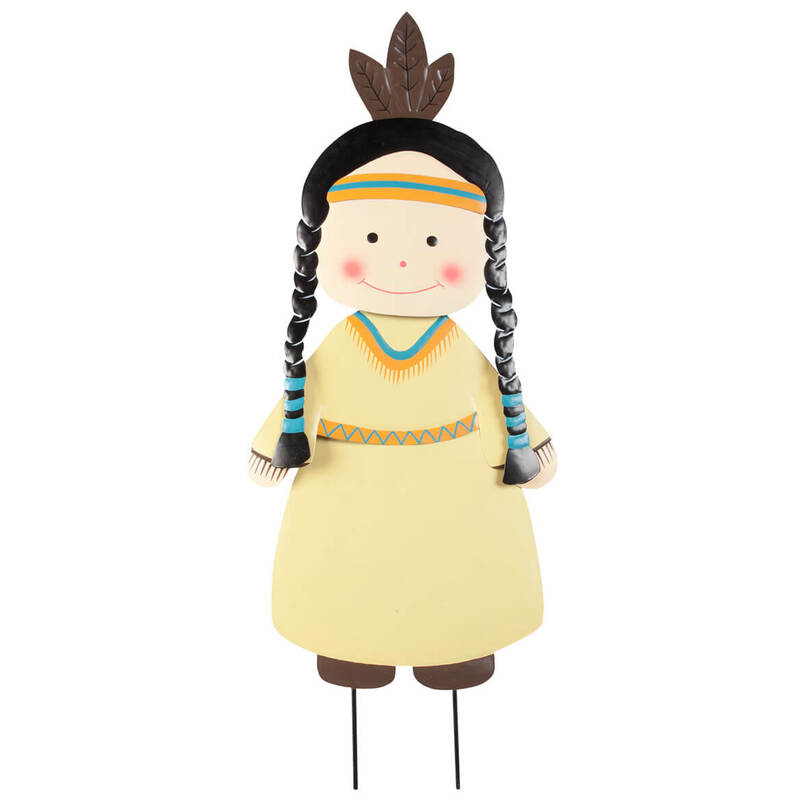 I have an old barn that I want to spruce up so I got both Native American girl and boy. 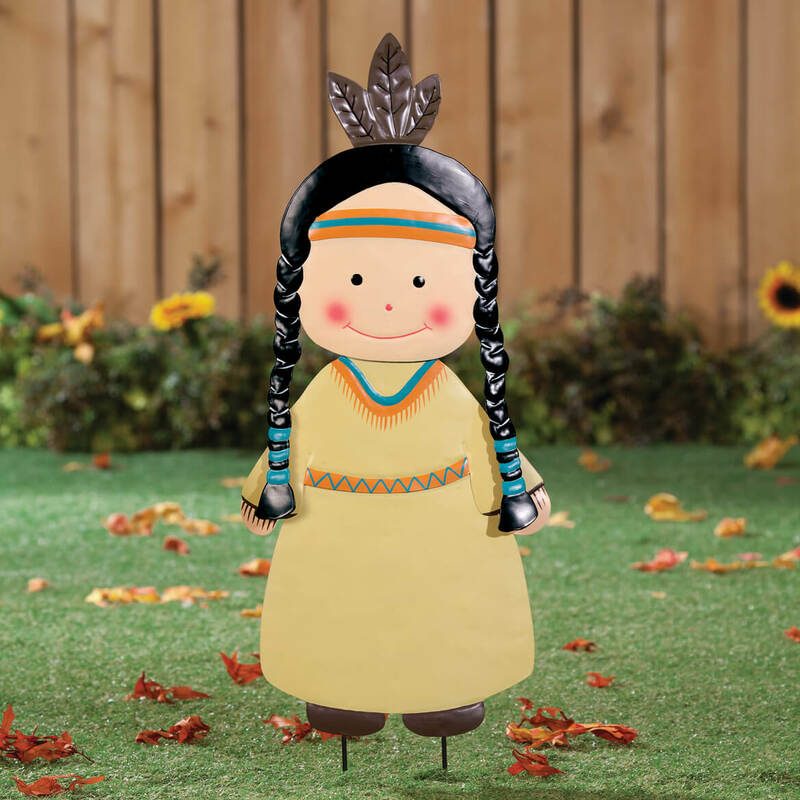 "I chose the native American Lawn Stakes to compliment the Pilgrim lawn stakes." Have previous items like this and they are fabulous. BEST ANSWER: Thank you for your question. It is 28" high with stake. We hope this information will be of help to you.